The town has an incredibly valuable textiles craft heritage handed down over the centuries. 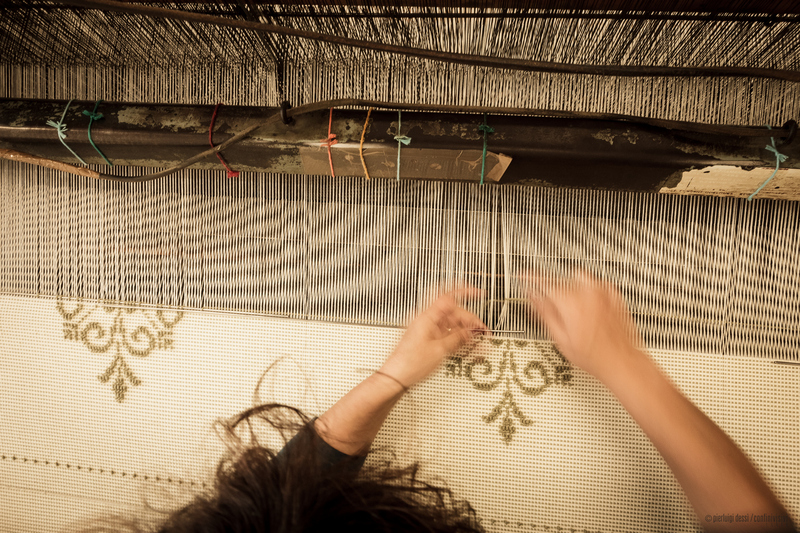 Samugheo, a town of around 3000 inhabitants in the Mandrolisai area, in the province of Oristano, is known for its production of rugs, tapestries and traditional clothing. It is part of the Borghi Autentici d’Italia circuit and is set in the lush and wild scenery of the Brabaxianna (‘gateway to Barbagia’), among solitary hills, crevasses, rocky cliffs, springs, oak woods and Mediterranean brush. There are numerous caves: ‘dell’Aquila’, sa Conca ‘e su Cuaddu, and the Buco della Chiave with its hour-glass shape. The town centre, originally divided into four neighbourhoods each with its own "microcosm", is characterised by two-floor houses with balconies, doorways and frames in red trachyte. 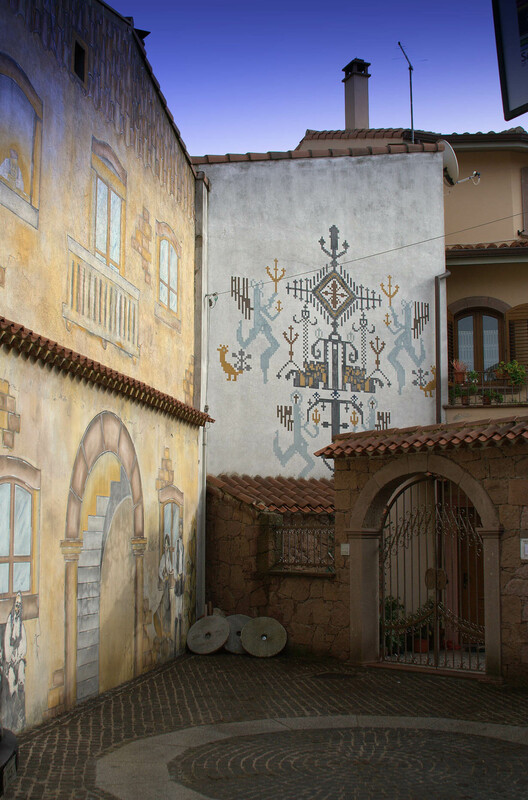 The houses are decorated with murales representing the town's emblem: rugs. 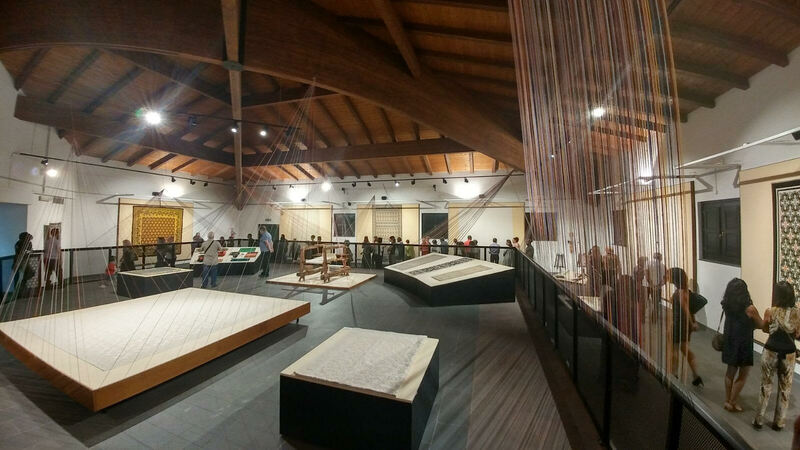 On the outskirts is Murats (regional textile art museum), where you can admire splendid examples from all over Sardinia. The ethnographic section hosts wooden looms and other equipment. Some of the rarest items are the affaciadas, small tapestries put on show during Corpus Domini, and five 18th century tapinu de mortus (only eight of these exist in the whole of the island). 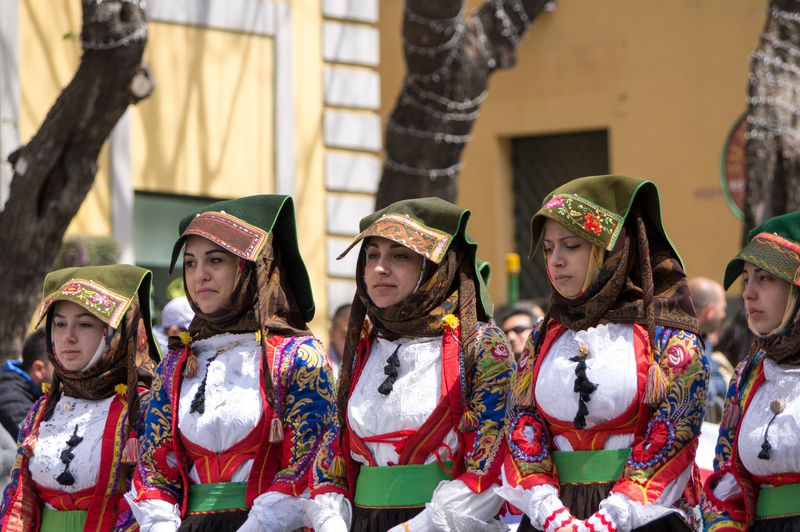 The tradition is also renewed each year by the Tessingiu, the most important textiles trade fair in the island. The town is also famous for pecorino cheese, wine and bread-making, which has its own festival in October. The territory has been settled since Neolithic times, as shown by the domus de Janas at Spelunca Orre. The most important Bronze Age remains are the Giants' tomb of Paule Luturu and the Perda Orrubia nuraghes. Clear traces remain of the Byzantine period, in the form of religious customs and Medusa Castle, named for the legend of Queen Medusa. The fortress clings to a cliff face, entirely dug out of the marble. It was first built in the 4th-5th centuries and construction continued in phases up to the 12th century. The remains are considerably overgrown, but you can still spot areas of walls, a cistern and the remains of two towers. 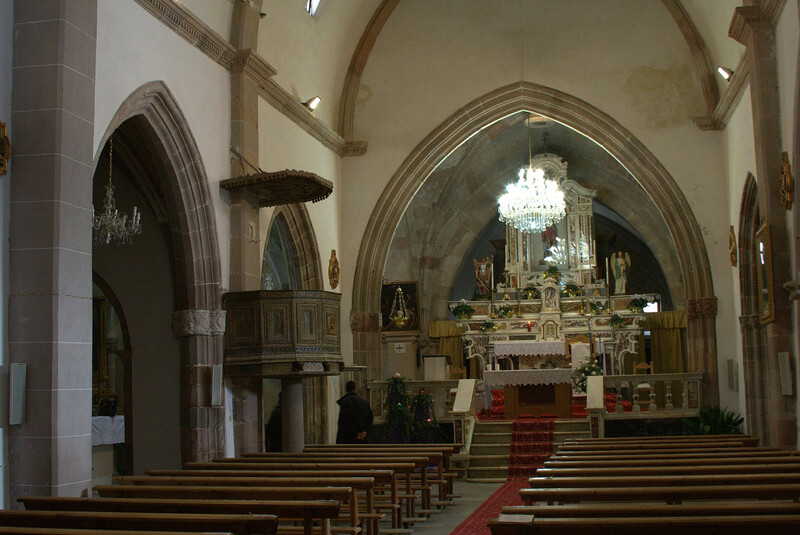 Religious buildings include the 16th century Church of San Basilio, patron saint of the town and who legend claims saved it from the plague, the Church of San Sebastiano, possibly from the 13th century and extended in the 15th century, with a Latin cross layout and late Gothic decorations, and the sanctuary of Santa Maria di Abbasassa, built 450 metres above sea level on the site of an ancient pagan temple. The oldest church is perhaps San Michele, now in ruins. The town's name was once thought to come from this church, known as San Migueu in Catalan and San Miguel in Castilian Spanish; however, a will by Ugone III (1336) referring to Sumugleo and another by the majore de Villa Summungleo (1388) have shown this to be false. 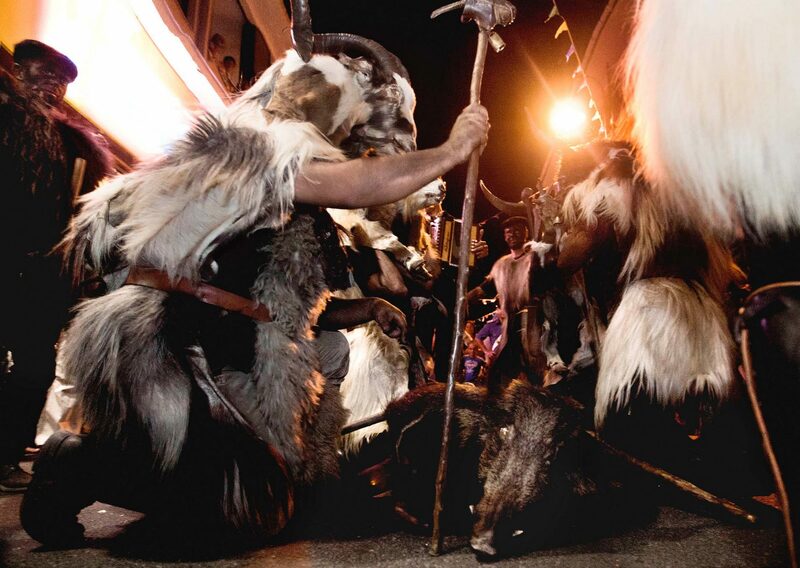 The most famous festival is A Maimone, a Samugheo carnival with a display of masks from all over Barbagia. The bonfires of Sant’Antonio and San Sebastiano in mid-January lead into the carnival period.